Also adopted by Zonta Clubs around the world since being showcased at the Zonta International Convention in Melbourne in 2006. The project has been active in places as far flung as Germany, Canada, the USA, New Zealand and Macedonia (where the project was kicked off in March 2007 to mark the third anniversary of the chartering of the Zonta Club of Skopje), and most recently begun in Sri Lanka in 2012 by the Zonta Club of Colombo. From a simple idea to help women recover…Where did it come from? 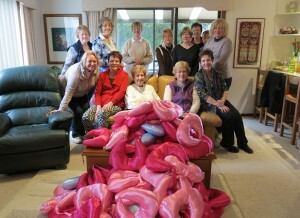 Possibly the most widely known Zonta service project in Australia, the Zonta Breast Care Cushion was the brain child of a local District 24 Zontian, Ann Selle OAM. 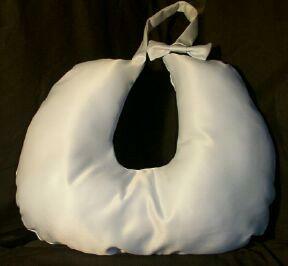 A member of the Zonta Club of Botany Bay Inc, Ann designed the cushion in 1994 after hearing from a friend about the difficulty of recovering from breast surgery. Since then, thousands of women in New South Wales and around Australia have benefited from this project. 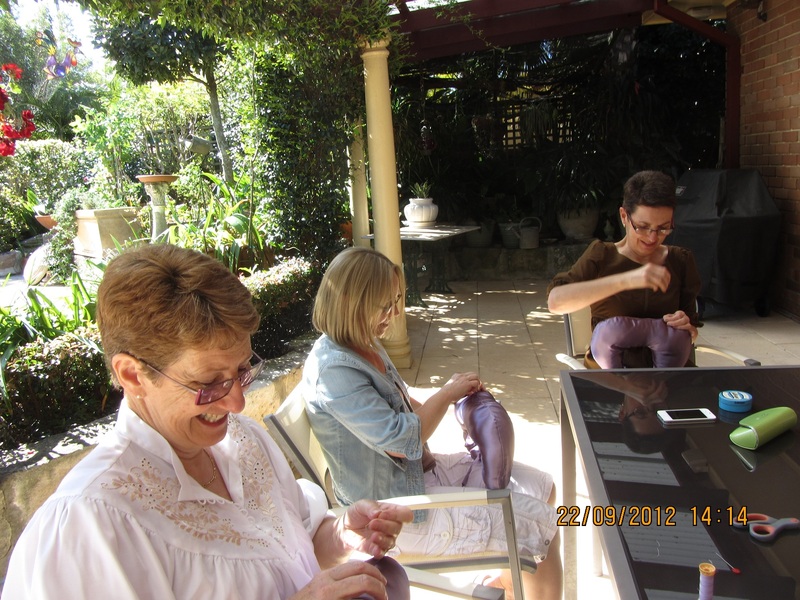 By early 2013, over 50,000 cushions had been made and delivered across Australia! The Breast Care Cushion project has been an endorsed service project in all Districts in Australia since 2001 and thousands of women have benefited from receiving a cushion. Basically, a Zonta club undertakes to keep one or more hospitals supplied with the Zonta Breast Care Cushions and the staff undertake to ensure that each person undergoing breast surgery receives a cushion to take home. While some clubs make the cushions from beginning to end using the work of club members, many clubs are assisted by club supporters and a variety people in their local community. For example, local high school students, textile students at a local college, nursing home residents, community sewing circle members or other ‘friends of Zonta’ lend their hands to sew the cushions up to the stage of being ‘flat’ – before the filling is added. After a supply of ‘flat’ cushions has been built up,the community group or the Zonta club members, along with friends, family, colleagues and neighbours will get together for a working bee – often over a good coffee or even a glass of champagne! 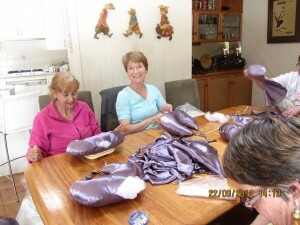 Once the stuffing has been added and final sewing done, helpers will wrap the cushions ready for delivery. How they are packaged varies according to the club and individual hospital guidelines, but most clubs enclose with the cushion some information about Zonta and our work in the wider community.